Join us at the Always Marriage Event. It will be a great night where we celebrate our marriages over hors d’oeuvres and sharing. Cost: $25 per couple. Please pay below. 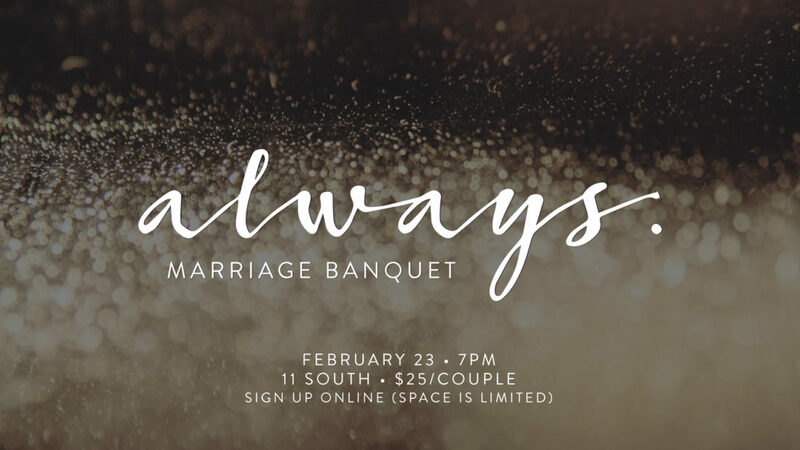 The cost of the Always Marriage Banquet is $25 per couple. Please indicate your method of payment. Pay online now: Enter $25 per couple below and select To: “Activity Fee” on the following page.